SEMCI INDIA conducts the Nationwide Education and Scholarship Test (NEST) on the last Sunday of January every year at their test centres in all major cities across India. 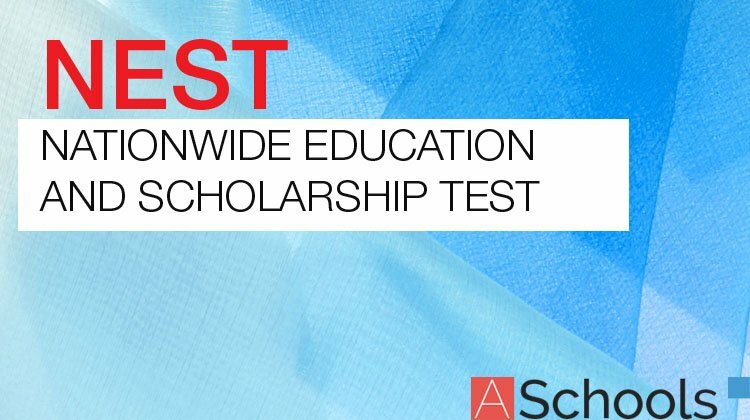 The purpose of conducting a series of such periodical tests is to ignite students interest in pursuing accurate knowledge and to prepare them for competitive skills, such as CAT, GATE, GRE, TOEFL and various other tests for admissions to higher studies in good institutes as well as for jobs in reputed companies. Only bona fide students registered in colleges appearing in 2018 exams will be eligible for this scholarship. Class 12th students of Science can also apply for NEST Senior I Category. Latest: 21st NEST-SENIOR-I and II 2019 (Alphabetical & Rankwise) Result has been published. Scroll down to check the same. NEST is specially designed to students’ choice, skills and interests as is essential at this stage of their education. Moreover, they also get instant cash prizes of handsome amounts and certificates of appreciation as incentives for their outstanding and exemplary performance in the test. Please see the eligibility criteria for the two categories of NEST in the following details. SEMCI INDIA has released its result for Nationwide Education and Scholarship Test (NEST) which was being held on January 2019 in all major cities across India. Students can check their result from the links that is provided on this page, alphabetically and rank wise both. Click here to check 21st NEST-SENIOR-I-2019 (Rankwise). Click here to check 21st NEST-SENIOR-II-2019 (Rankwise). SEMCI INDIA release the admit card for 21st NEST Scholarship 2019 to be held on the scheduled date. Candidates can download their admit card from the official website by Candidate Login using Registration Number & Password. Candidates can also download it through the link provided below. In a Category / Group of Minimum 1000+ candidates all over India. Thereafter, there is at least one scholarship in every 200 candidates on average in order to maintain competitiveness in the contest. Certificates: Certificates of Appreciation shall be awarded to all candidates who score 40% and above in aggregate of all the five sections in the test. Candidates can fill the application form on or before last week of Sep 2018. NEST I: Rs. 600/- (Rupees six hundred only). Add late fees as / if required. NEST II: Rs. 700/- (Rupees seven hundred only). Add late fees as / if required. Further, You can add Rs. 300/- (Rupees three hundred only) if you want unsolved NEST I & II question paper of the last six years. (2006-2011) of NEST I & II. The content, pattern and style of this test is similar to any other tests of objective type with Multiple Choice Questions (MCQs), Fill in blanks and Yes/No types of questions as, for example, in CET, CAT, GATE, GRE, TOEFL, etc,Thus, any books that prepare you for these tests will also help you for NEST. Please find relevant study material yourself to prepare for this test. We do not prescribe any books on the subject. A = Comp/IT/Elerffelecom/Elect/Instr; B = Mech/Prod/Auto. Test Centres: Currently Test Centres are available only in 65 major cities in India, such as Agra, Ahmedabad, Allahabad, Amritsar, Aurangabad, Bangalore, Bhopal, Bhubaneshware, Chandigarh, Chennai, Coimbatore, Cuttack, Dehradun, Delhi & NCR, Dhanbad, Durgapur, Ernakulam (Cochin), Gangtok, Goa, Gorakhpur, Guwahati, Gwalior, Hubli, Hyderabad, Indore, Itanagar, Jabalpur, Jaipur, Jammu, Jamshedpur, Jhansi, Kanpur, Kolhapur, Kolkata, Kozhikode, Latur, Lucknow, Ludhiana, Madurai, Mangalore, Meerut, Mumbai & Suburbs, Mysore, Nagpur, Nashik, Nellore, Patna, Pondicherry, Pune, Rajahmundry, Rajkot, Raipur, Ranchi, Rohtak, Rourkela, Shimla, Srinagar, Trichy, Trivandrum, Vadodara, Varanasi, Vijaywada, Visakhapatnam etc. There is no need for any attestation, verification or recommendation. Do not attach any other documents except DD with the application form. Applicants can also form a group of two or more students and draw a single DD of the cumulative amount and send all the applications together in a single envelop to save their time & money. It is the prerogative of the college to charge Rs. 25/- per candidate as processing fees for collection and dispatch of application to NEST office if applications are sent through school/college.